The H Series is a range of bubble tight leak-proof, high-pressure hydraulic and pneumatic valves that are ideally suited to the unique needs of a number of industry markets. 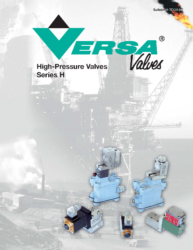 Versa is offering a range of bubble tight leak-proof, high-pressure hydraulic and pneumatic valves that are ideally suited to the unique needs of a number of industry markets. They range in size from .7 GPM up to 10.5 GPM. 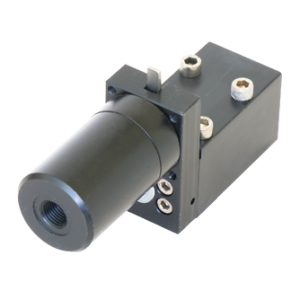 The valves are available in 2, 3, and 4 way flow functions with solenoid and pilot actuators. H Series valves can be applied as a single station unit or incorporated into a custom made manifold unit that is designed to meet the needs of the application.